We want to bring out the best in your child! During Create and Play After School programs, it’s all about bringing out the best in your child. Whether he or she chooses to nurture their inner scientist, artist, teacher, doctor, CEO, or all of the above, we give our guests the freedom to follow her curiosity and passion! In our new curriculum, your child’s interests will shape what we explore, and at the same time they will be developing skills that will help create a solid foundation for learning and growth. Fun activities play a big role in how your child will develop critical skills while at Create and Play Camps. It may just feel like playing to your child because our activities are video game based, but what’s really happening is learning that will last a lifetime! The activities in our curriculum focus on key developmental domains in STEAM. STEAM activities (Science, Technology, Engineering, Arts, and Math) give your child the freedom to discover, create, and tinker. Your child will be given problems to solve as well as questions and real-life scenarios to think about so she can learn more about the world around her! In Minecraft, our “Building Houses” program reinforces STEAM skills by encouraging children to create, take apart, and explore. Our after school programs mirror our week-long summer programs meaning a portion of their daily time will be “Creating” or learning and only after learning, homework and some basic physical activity they will also be able to “Play”. Whether it’s a science project, spelling test, or book report, if your child needs to utilize their after school time to work on homework, our counselors will monitor your child in completing homework—which frees up time in the evenings for you to be together as a family. Afraid your child has too much Screen (computer/game) time? Pediatricians and teachers caution against too much screen time because when kids sit themselves in front of the TV, it’s a passive activity. Many children are content to give screens their attention for hours at a time. This contributes to childhood obesity and fails to engage their minds in a meaningful way, leading them to stagnate and be less sociable. We either need to find a way around the screen time kids enjoy so much, or find a way to make it work for kids rather than against them. We created the Create and Play program to tackle this problem. We saw that our own children were screen-obsessed as soon as they came home from school and started playing video games before doing homework. We knew that if we couldn’t find a way to bridge education with their passion for technology, then there would be little hope that they’d grow up to take advantage of our digital age. The current generation of kids are native-technology users. They are comfortable with it in a way that we might never be. Why not meet them where they are to combine the technology they love with important skills-learning and education? Thankfully, we realized that quality screen time makes all the difference. The difference between passively enjoying screen time, like watching TV, and playing puzzle-solving games on a tablet, building in an interactive multi player game, or meeting new friends with a console game is wonderful. From these games your child can learn engineering, coding, design, architectural, and math skills that they’ll carry with them into adulthood. At Video Game Palooza, we know that quality screen time not only teaches your children valuable skills and can keep them moving, but they’ll also enjoy it! When quality screen time is paired with regular exercise breaks, you can be assured your child doesn’t become a zoned out, moody brat. 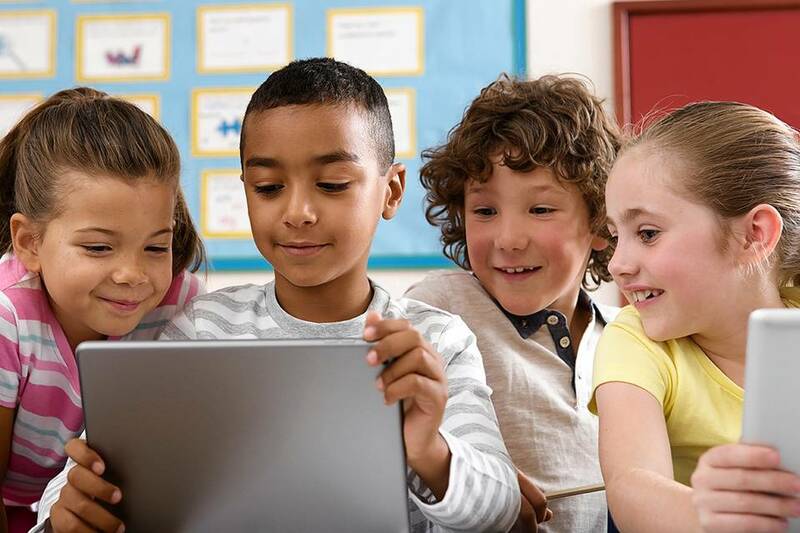 When your child participates in the Create and Play after school program, they get the opportunity to play with and learn with other kids using the newest technology including the latest in STEM education and of course, computer games that will stimulate their mind! Is Your Child Getting Enough physical exercise? According to the CDC child obesity rates have more than doubled over the last thirty years. For adolescents those numbers have quadrupled! It’s so easy for kids to come home from school and either plop themselves in front of the TV or sit down to do homework for hours. They fall into a sedentary rut with this routine and are setting themselves up to become a statistic. We saw the same trends in our children, which is why when we started developing the theories that would eventually become Video Game Palooza and Create and Play, we knew that exercise would have to be a key part of the equation. At Create and Play, we promote physical exercise as much as we do healthy screen time. There’s no denying that staring at a screen for hours at a time can put a strain on the eyes and cramp up a body. Our solution to this problem is exercise breaks! Exercise breaks are exactly what they sound like—exercise breaks. They break up the screen time that’s sedentary with physical activity, whether that be a simple series of stretches, a dance party, interactive console games, or vigorous sessions on one of our basketball courts in the Indiana Pacers Athletic Center. We also have an optional Fitbit incentive program in which children can enroll. Record the number of steps your child takes every day and they can earn special game time, rewards, and special privileges. We ensure that your child’s afterschool experience is balanced and fuels their innate curiosity. Is your Child a Gamer? Great! We love gamers at Create and Play! They already know how great video games are. But if we ask you to picture a gamer in your mind, the image that might come to mind is based on a lot of unflattering stereotypes, right? Society has a twisted idea of what gamers are—lazy, lives at home, plays violence-saturated games…the list goes on. But like most stereotypes, exaggeration and caricature have created an image that is false. When gamers balance healthy screen time with physical activity and games that mentally stimulate them, their potential is endless. 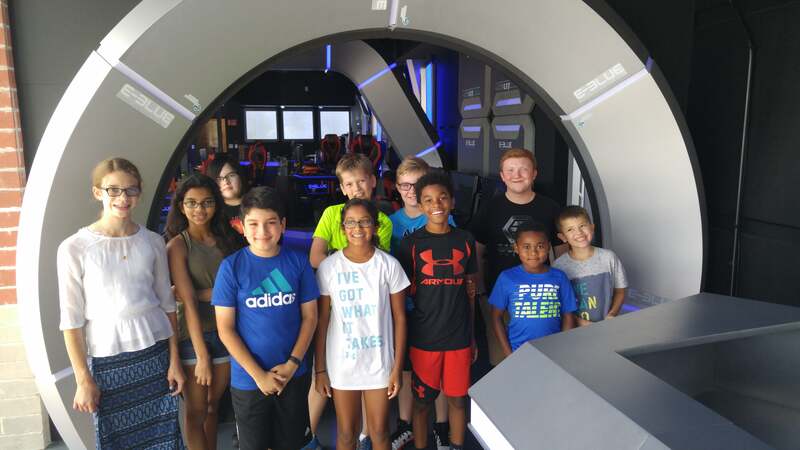 When we started Video Game Palooza we sought to create an environment that would take advantage of our children’s passion for games and nurture it. The first step was finding games that were entertaining, but that also gave players skills that transfer into real life. Not all games are created equal. There’s a huge difference between a first-person shooter game and a first-person puzzle game like Portal. One is violent and one presents the player increasingly complex puzzles to solve that promotes creativity and out-of-the-box thinking. Another example: Minecraft. It’s called a sandbox game because, like a sandbox, the possibilities are limited only by the limits of your imagination. It reinforces many valuable skills without children even realizing it—math, architecture, design, economics, engineering. We’ve seen our students work together to build entire cities from the ground up. The teamwork and creativity Minecraft encourages is boundless, which is why we use it as a core teaching tool to reach kids where their interests are and give them the skills they will need as adults. Create and Play provides an environment that encourages productive gaming passions, healthy screen time, and physical activity to foster a new generation of gamers. It’s these gamers that will become the next Bill Gates or Mark Zuckerberg. 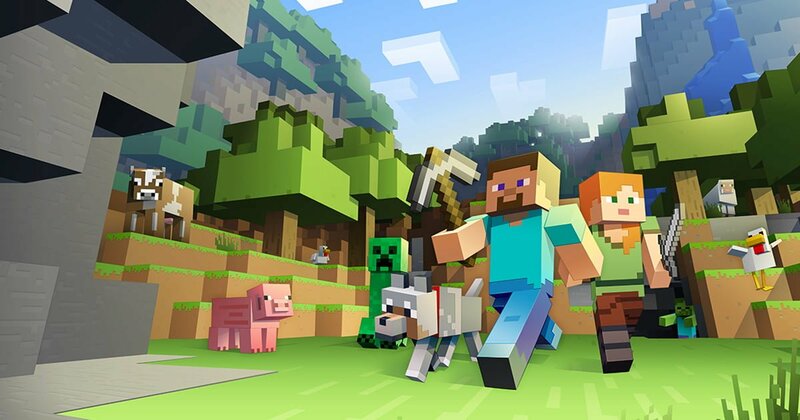 From Minecraft to Portal and beyond, the educational opportunities games offer children is limitless. Whether our students are playing Minecraft on our private server or solving complex puzzles with another interesting game, we will make sure they do so in a way that will make sure they grow into good digital citizens.